Short description: Need to draw public attention to your logistics and transportation company? 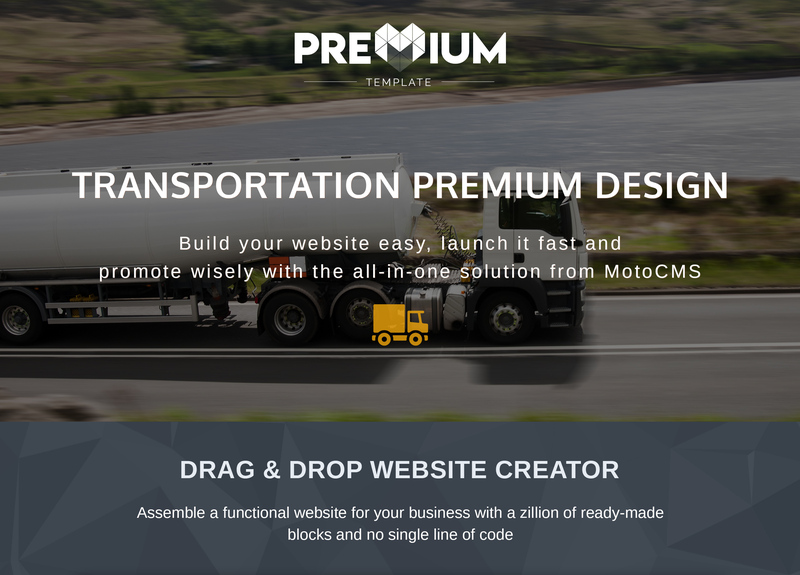 Use this Transportation Moto CMS 3 Template designed in trendy material style for your online presentation. Built-in personal blog will help you build a loyal community around your website. Tell your own story through it. Write valuable articles and post them on your website via professional widgets. Subscription form will help you get new subscribers and build your own online audience. The possibility to SEO optimize your website will help your website take the first lines in Google rankings. You will be able to add keywords and meta description for your website pages, ALT and title for images to make your online project noticeable for search engines. 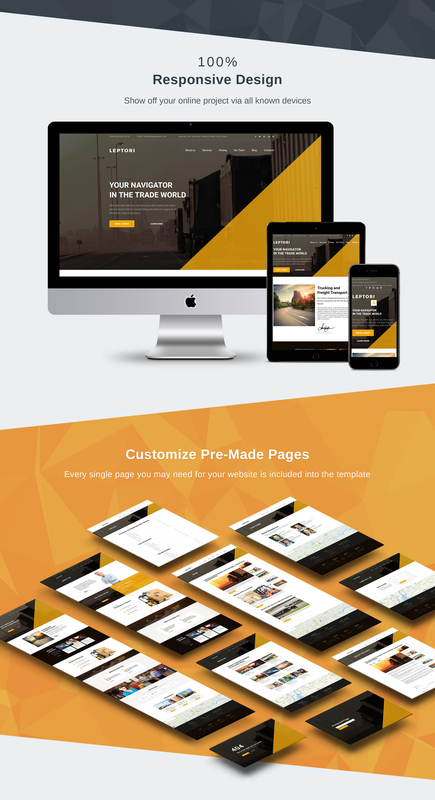 It's time to boost your business, grab this template and do it!